From last year, Nikon announced many excellent cameras, such as the Nikon 1J1/1V1/1J2 compact cameras, and Nikon D800/D800E DSLR camera, these cameras have attracted great attention in the market. The powerful features of Nikon make it striking among the market. Nikon D800 must be one of the hottest DSLR in the market now, and Nikon 1J1, 1J2, 1V1 are hot topics too. You may have got one of them, it’s great for us to use Nikon camera to take photos and record high-definition videos, with Nikon camera we can take stunning photos and videos simply. I think you may like to use Nikon camera to record HD videos when you travel or at weekends, you may have the need to edit Nikon H.264 MOV footage in iMovie. But iMovie can’t support Nikon recorded MOV files well due to the codec problem. Nikon camera recorded MOV codec is H.264/MPEG-4 codec, iMovie best supported video format is Apple Intermediate Codec (AIC) MOV format, so it’s a great choice for you to convert Nikon 1J1, 1J2, 1V1, D800, D800E MOV to iMovie AIC format for editing, you can follow the steps below. 1. 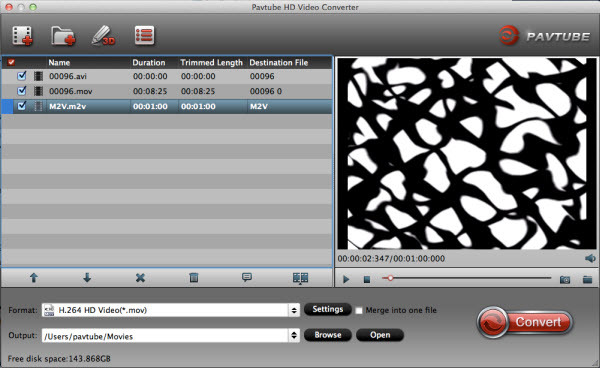 Download Pavtube HD Video Converter for Mac, it’s an excellent software which can convert camera and camcorder files to rich formats, such as AVI, MKV, ProRes 422, AIC, etc. 2. 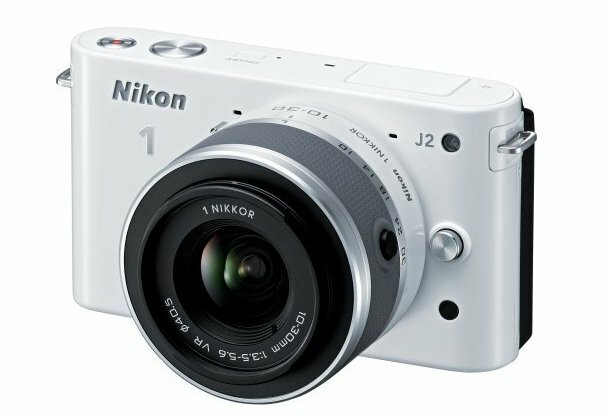 Install and launch this Nikon camera to iMovie converter. Import the Nikon recorded files to the HD Video Converter. 3. Click format bar to choose format for output. 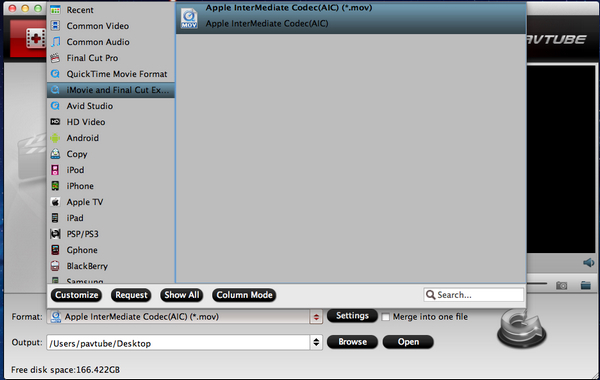 For editing Nikon recorded files in iMovie, you can click and choose iMovie -> Apple InterMediate Codec (AIC) (*.mov) format. 4. You can click settings button to adjust output parameters, such as resolution, bitrate, etc. 5. Edit function is convenient and easy for you to use, trim, crop, add watermark or adjust effect as you want. 6. Click convert button to start. 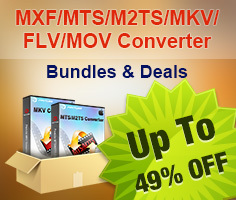 With this Nikon H.264 MOV to AIC Converter, you can use Nikon MOV files easily, this will save you a lot of time. Video and audio quality are perfectly guaranteed, with this Nikon to iMovie converter, you can easily convert Nikon 1J1, 1J2, 1V1 to iMovie AIC format, or convert Nikon D800/D800E to iMovie AIC format. You can also follow this Nikon MOV to FCP guide, or to find more tips in FCP column.